Mamma dolphin with baby dolphin pendant made in 14k solid yellow gold, from Apples of Gold Jewelry. The dolphin mother and baby pendant measures approx. 15/16" tall x just over 11/16" wide. The pendant has a 3-d look to it, with a finished, polished look on the backside. Add a matching 14k solid gold box chain in 18" or 20" (optional). 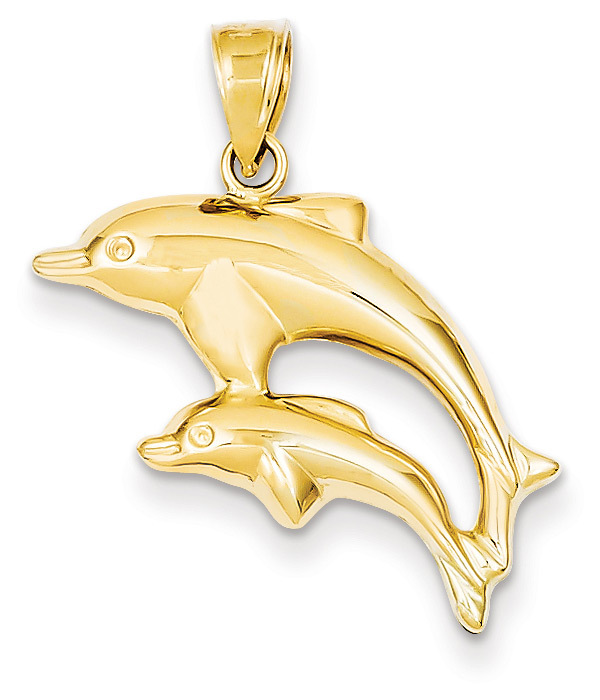 We guarantee our Mamma Dolphin with Baby Dolphin Pendant, 14K Gold to be high quality, authentic jewelry, as described above.